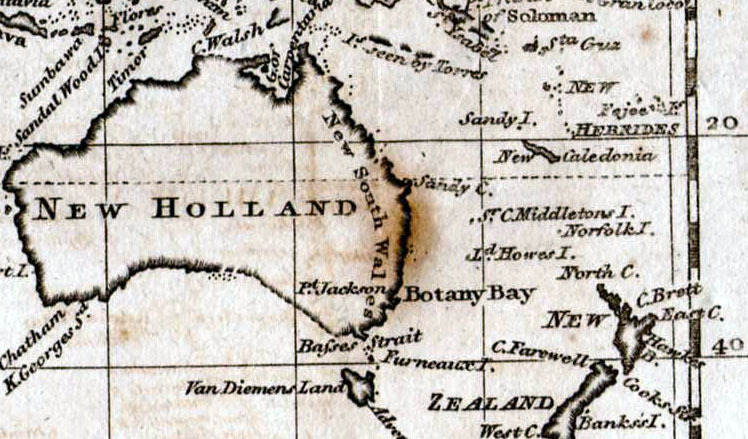 This section contains information on the errors found on maps. 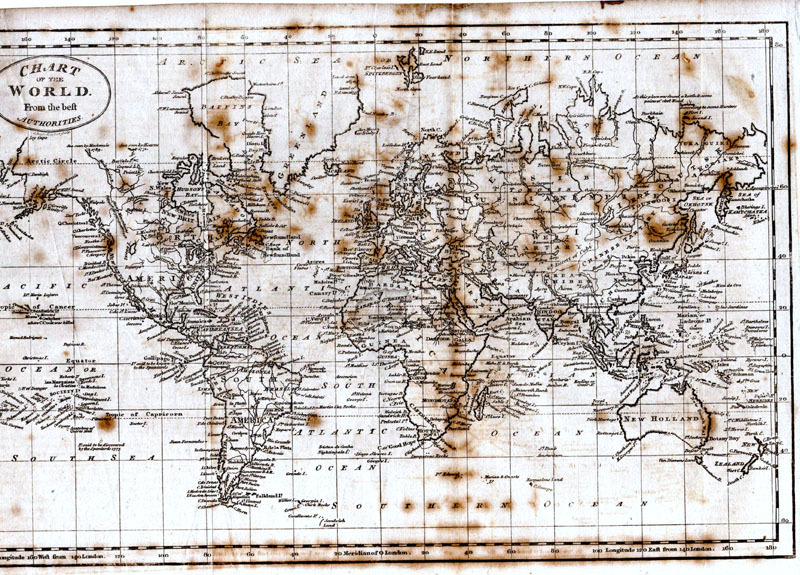 Through the exercise of researching maps we stumble upon errors and blunders that have found their ways into print. Some of the examples here are well documented, others not so well known. 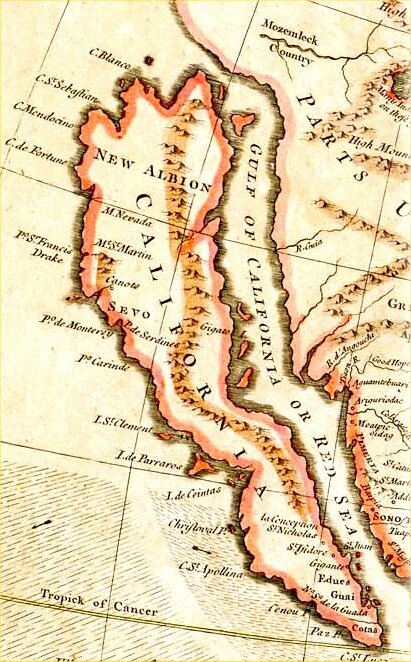 It is not the intention to record every cartographic distortion, just the features deemed to be interesting. Any contributions are welcome and all will be given credit for bringing them to this page. The inspiration of this page was triggered by item 001 found in the Dec 2013 National Geographic. Never trust the statement 'from latest observations' or ' 'from latest surveys and measurments'. It's all lies. The attached article appeared in an old National Geographic. 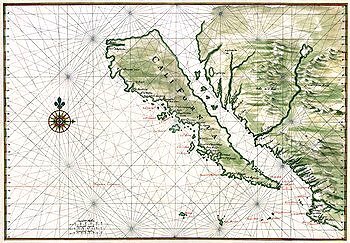 It tells of an island appearing on maps, and in atlases, from years back, and in 2012 a survey showed it did not exist. The John Speed map of Wiltshire (1610) shows a town called Quare, due west of Salisbury. This is thought to be 'query' regarding the name lost during an earlier survey. It was a note to check the name and have it entered correctly on the map prior to printing. It did not happen. That map and subsequent maps showed the town of Burcombe as Quare. This error went uncorrected for nearly 150 years - Emanual Bowen’s map of 1755 was the first to show it as Burcombe. 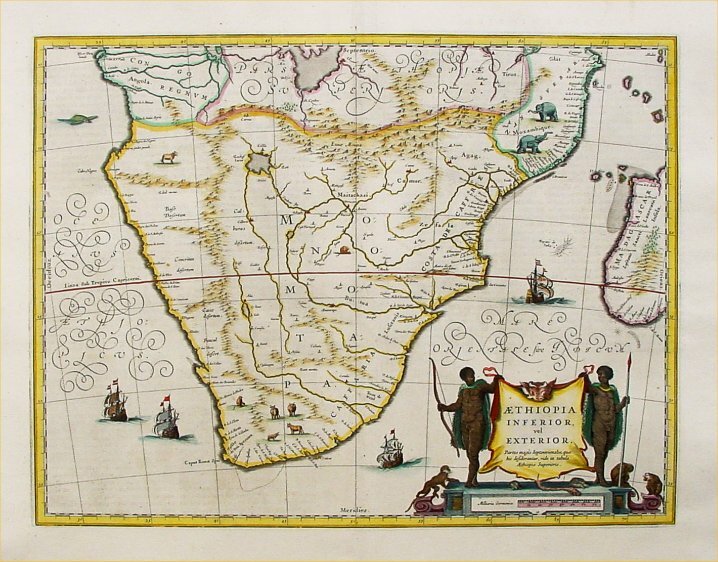 While writing my book on the miniatures of Southern Africa (should be published this year ), I discovered a mythical island of the Cape Peninsula (Il de Fera) that Du Val introduced in 1660, and which was repeated until 1702, by Hoffmann, Mueller and Morden (I am looking for the 1st state of his map - which was inexpertly altered in the 2nd state and it looks like he deleted the island inter alia - I can see the island but not the name). Sitting just above the equator along the Brazil / Guyana / Surinam border. 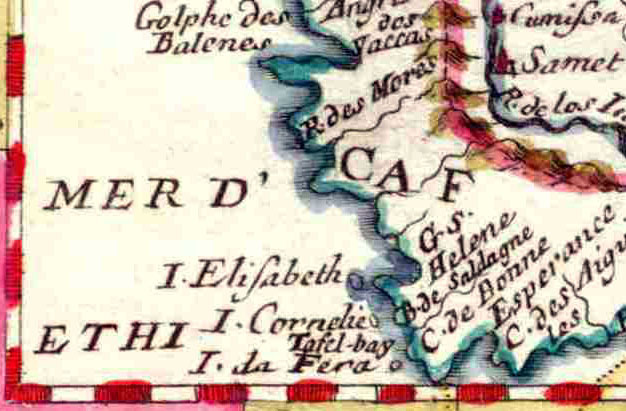 Fictitious lake appearing on 17th century maps to give the impression the interior had been surveyed. A wonderful example of a cartographer filling in a blank space on a map with pure fantasy. 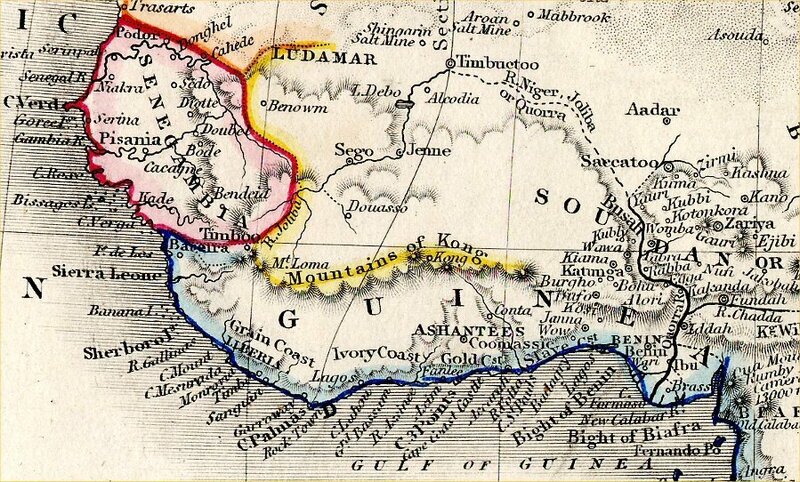 As with most early maps of Africa the coast was well documented and the interior a blank because nobody had investigated. 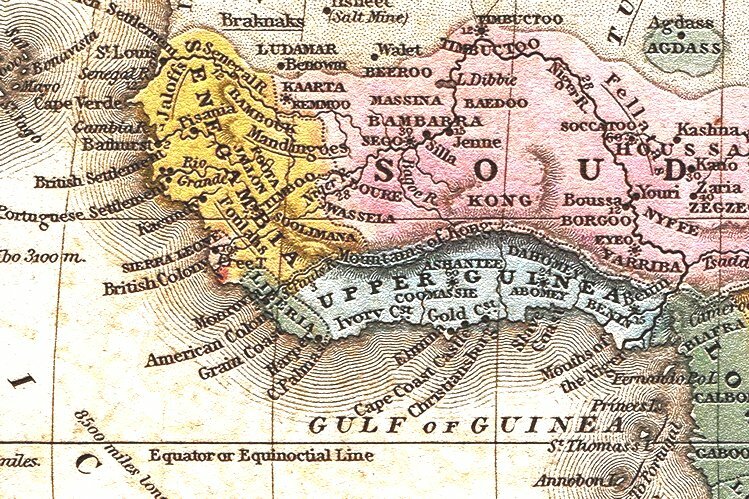 An explorer called Mungo Park placed these imaginations on a map in 1798 and they were reproduced on other various maps of Africa until the 1880s. 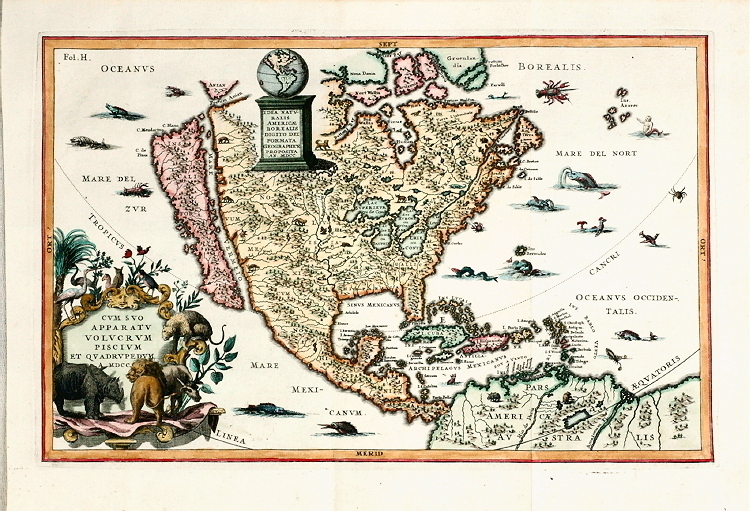 John Cary's map of 1805 had the mountain range extending across the continent to join the Mountains of the Moon near Ethiopia (see next item). Legendary nonsense from ancient times describing the mountains at the source of the Nile. 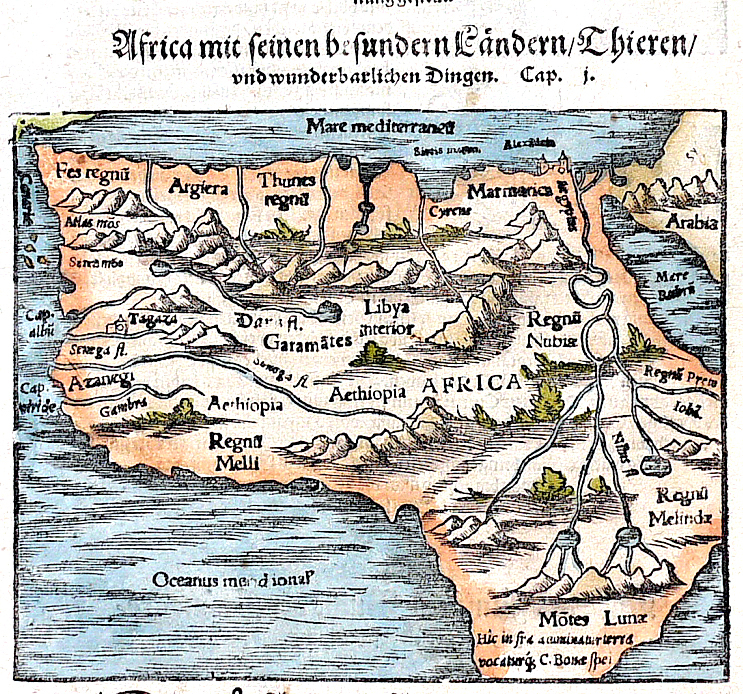 All early maps of Africa show this feature and it's origin is thought to be from Ptolemy's writings in ancient Greece. Modern writers are still wasting time pondering this story and think it may be the Rwenzori Mountains or Mount Kilimanjaro - jury still out. 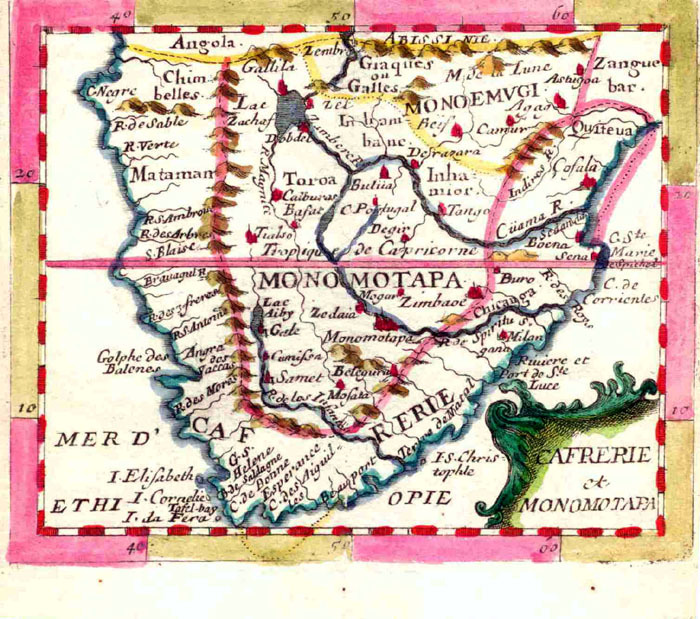 The Blaeu map of Southern Africa (c1640) shows the extent of filling in the empty spaces with imaginary lakes, rivers and mountains. 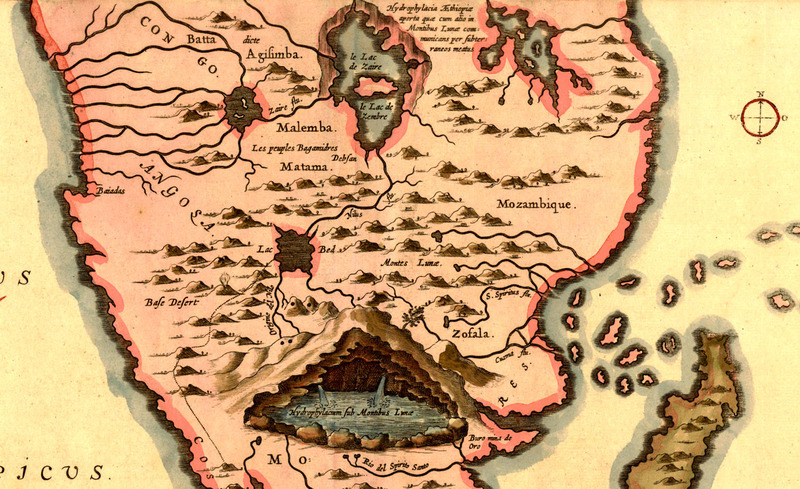 Most maps of Africa of this period were just as bad at describing the interior. 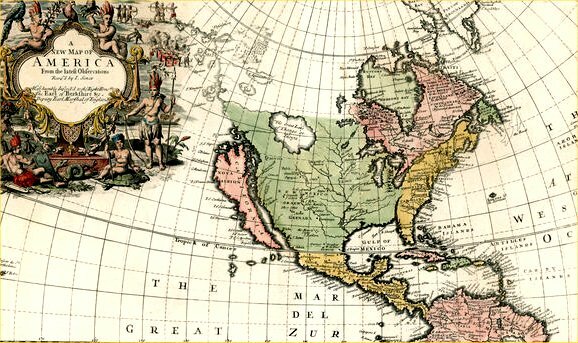 Many cartographers and publishers would cram the interior with home spun features in an effort to project an impression of having the latest survey data from recent expeditions - it was not good form to declare geographical ignorance on highly priced maps. Around 1784 a new state of Franklin was proposed - slicing the east side of Tennessee up to North Carolina. Congress rejected the proposal but not before some enthusiastic map makers embedded it into their latest creations. A full record of this episode in history is available on Wikipedia under 'State of Franklin'. Well documented error. Numerous examples through the 16th, 17th and 18th centuries. See Wikipedia for full history.